While international criminal courts have often been declared as bringing ‘justice’ to victims, their procedures and outcomes historically showed little reflection of the needs and interests of victims themselves. This situation has changed significantly over the last sixty years; victims are increasingly acknowledged as having various ‘rights’, while their need for justice has been deployed as a means of justifying the establishment of international criminal courts. However, it is arguable that the goals of political and legal elites continue to be given precedence, and the ability of courts to deliver ‘justice to victims’ remains contested. 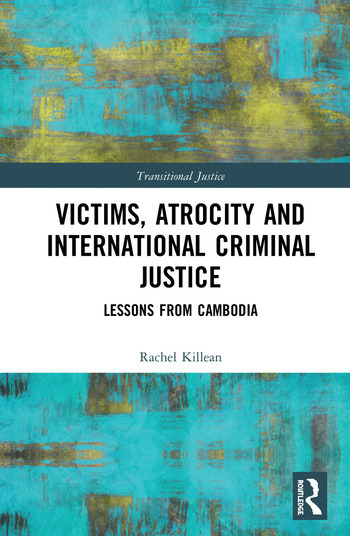 This book contributes to this important debate through an examination of the role of victims as civil parties within the Extraordinary Chambers in the Courts of Cambodia. Drawing on a series of interviews with civil parties, court practitioners and civil society actors, the book explores the way in which both the ECCC and the role of victims within it are shaped by specific political, economic and legal contexts; examining the ‘gap’ between the legitimising value of the ‘imagined victim’, and the extent to which victims are able to further their interests within the courtroom.